The Bezel is giving you problems, it's too lose and the watch is not passing the waterproof test. With this tool you will be able to tighten safely the bezel and now it can pass the waterproof test. 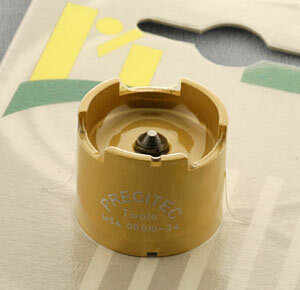 If the Bezel is too tight which can result in cracked crystals, you will also be able loosen the bezel with this tool. Extremely well made tool that can even handle even more sizes than the luxury brands own tool at a fraction of the cost of their tool! Supplied with a plastic case together with the instructions. 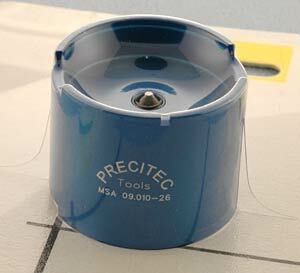 Similar to the original tool, removes bezel rings safely and with ease with this handy tool. 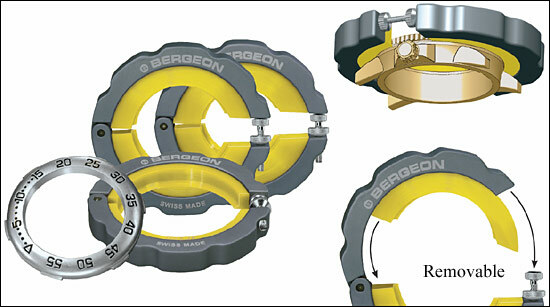 Bergeon, Swiss-Made case bezel remover is designed to work on Rolex watches, also works with many other divers-type watch cases. This is the finest product of it's type. Citizen Watch Company is just one of many of our customers to purchase this tool from us. Removes bezel sizes from 27 mm to 45 mm in diameter. 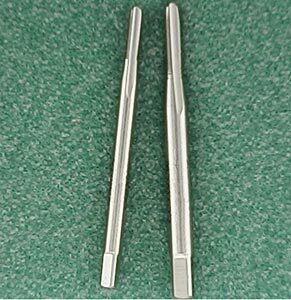 Equipped with 4 polished knives, this tool makes it easy for removing most bezels on watch cases. This is really a high quality by European standards made in France is crafted much better than the 180.701 above that has service the trade well for many years. However, if you want the best possible tool of this type on your bench the only choice then would be this French Made tool. 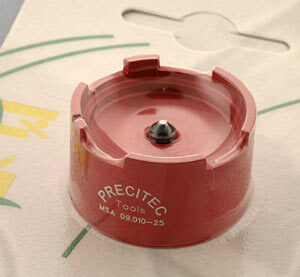 Horotec tool for opening snap back cases as well as removing bezels. Can also be used to remove pins from bracelet links. Equipped with 2 pairs of hardened steel blades (2mm and 4mm), 1 delrin support die, 1 pin holder, assortment of 11 pins (sizes: 0.40, 0.60, 0.70, 0.80, 0.90, 1.00, 1.10, 1.20, 1.40, 1.50, 2.00mm) and a precision sliding carriage for extracting glasses and case backs. 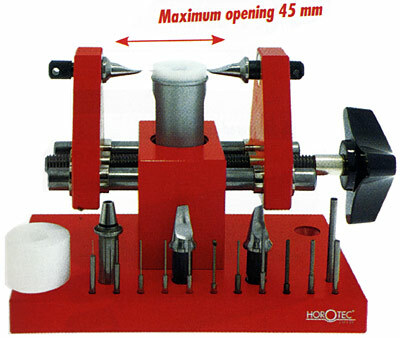 Has a maximum opening of 45mm. Size: 120mm x 75mm x 85mm. 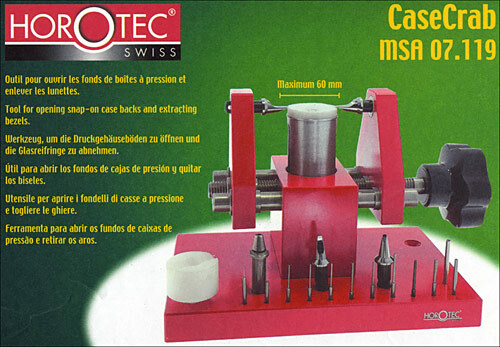 Horotec tool for opening snap back cases as well as removing bezels. Can also be used to remove pins from bracelet links. Equipped with 2 pairs of hardened steel blades (2mm and 4mm), 1 delrin support die, 1 pin holder, assortment of 11 pins (sizes: 0.40, 0.60, 0.70, 0.80, 0.90, 1.00, 1.10, 1.20, 1.40, 1.50, 2.00mm) and a precision sliding carriage for extracting glasses and case backs. 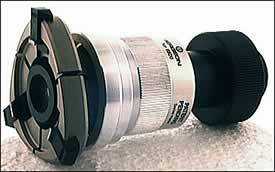 Has a maximum opening of 60mm. Size: 155mm x 100mm x 110mm. Click Here for Replacements and Add-On Accessories. Like the original ROLEX© Mirco-Stella precision regulator, you can now regulate in one second increments without taking the movement out of its case. These fit the original milled case tubes for the 5.30 mm and the 6.00 mm crowns. The original milled tubes the grooves were are the bottom of the tube. 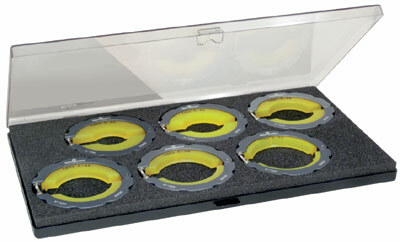 This set of wrenches can remove or install the new type case tubes which fit the 5.30 mm and the 6.00 mm crowns. 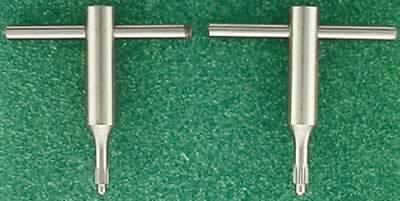 The new type tubes, have the milled grooves inside on the upper or widest part of the tube. 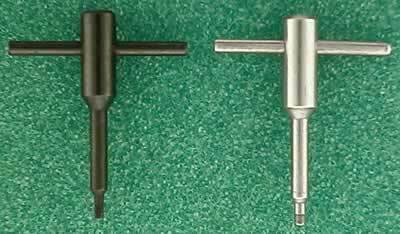 Generic Tapping Set for 5.3mm and 6mm crown. To Fit Lady's Rolex® Caliber 2030/2035. To Fit Man's Rolex® Caliber 3035/3135. To Fit Rolex® Caliber 2130/2135. To Fit Rolex® Caliber 1400/1401. To Fit Rolex® Caliber 1530/1575. To Fit Rolex® Caliber 2230/2235. Movement holder with central screw for caliber 2135. Aluminium round movement holders equipped with adjustable screw to support pivots and end-pieces. 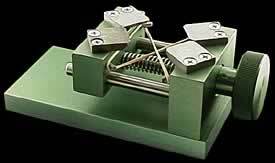 Movement holder with central screw for caliber 3035. Movement holder with central screw for caliber 1570. 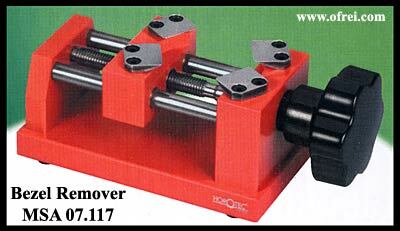 Assortment of 4 punchers for riveting oscillating weight axles. 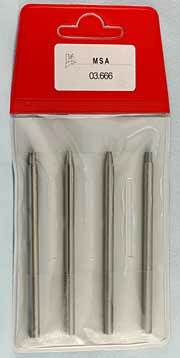 Use for Rolex Caliber #1570, 2135, 2235, and 3035/3135. Use for Rolex Caliber #1570. Use for Rolex Caliber #2135. Use for Rolex Caliber #2235. Use for Rolex Caliber #3035, 3135. 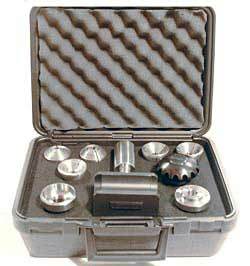 Set of 7 dies interchangeable with Bergeon Crystal Press 5500A and 5500C. Die #1 measures 26.88mm outside diameter, 18.93mm inside diamter, 3.98mm wall thickness. Die #2 measures 29.67mm outside diameter, 21.68mm inside diamter, 4.10mm wall thickness. Die #3 measures 30.38mm outside diameter, 22.00mm inside diamter, 4.20mm wall thickness. Die #4 measures 34.00mm outside diameter, 26.00mm inside diamter, 4.00mm wall thickness. 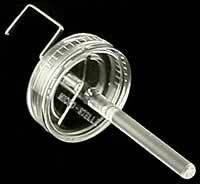 Die #5 measures 36.95mm outside diameter, 28.65mm inside diamter, 4.15mm wall thickness. Die #6 measures 38.00mm outside diameter, 29.00mm inside diamter, 4.00mm wall thickness. Die #7 measures 39.40mm outside diameter, 31.20mm inside diamter, 4.10mm wall thickness. Ergonomic handle in anodized aluminum with adjustable screw in end of banking to avoid crushing the Bezel. New internal ring in synthetic material allowing the easy extraction of all kinds of rotating Bezels without scratching. Assortment of 6 pieces. Interior Ø of ring: 30 - 34 - 38 - 42 - 46 - 50 mm. External Ø of the handle: 80 mm. Special order item allow 4-5 weeks for delivery. Final billing of credit card charge does not take place until we are able to ship.